There's an outdoor lap pool, pool-pool and hot tub - all heated and open year-round. It's got everything from dining and swimming, to tennis, golf and a 19,000 square foot athletic club. Choose teams or fly solo in a late-night game of Apples to Apples or Outburst. Carb-load like crazy with french toast or pancakes - you're going to need it out there. Two Creeks lift is a 3 minute shuttle ride. Stick together in line so you can make the same chair. Admire the spectacular view of the mountains from the outdoor heated pool. Visit Snowmass Club for a massage, facial, body peel or salt scrub. Recover from your day with a soak in the outdoor hot tubs - there are 2 at the resort. Toss snacks in a backpack, you're a 5 minute walk away from Highline Trail. Grab your clubs, you're right next to Snowmass Golf Course. Villas at Snowmass Club is conveniently located in Snowmass Village, just a short drive from Aspen. The resort is 8,000 feet above sea level providing spectacular mountain views and a peaceful, quiet atmosphere. You don’t have to go far for great skiing. Two Creeks Chairlift is only three minutes away by complimentary shuttle. Your resort-guest status gives you access to all the Snowmass Club amenities, like the 18-hole Snowmass Club golf course, 11 outdoor tennis courts and two indoor courts. Treat yourself with a few of the expert spa services, from facials and salt scrubs, to massages and body peels. Got an active crew? This place is ready for you. There’s a full service 19,000 square foot Athletic Club with everything from Pilates, spin and fitness classes to a wide range of gym equipment. Don’t let the cold air stop you from enjoying a relaxing swim – the outdoor pool is heated. After a long day on the slopes, there’s nothing like a soak in the hot tub to thaw out your toes and soothe your tired muscles. Follow it up with a stop at the sauna or steam room. For days when the idea of making dinner sounded good until the time came to actually get it done, there are two promising restaurants onsite. Hit the Black Saddle Bar & Grill, located at the Golf Clubhouse, for sandwiches, burgers and salads. They even have a special menu just for kids. Or grab a table at Sage Restaurant, open for lunch, dinner – and the place to be for Sunday Brunch. Well appointed one- to three-bedroom condos feature kitchens fully equipped with the works – refrigerators, stovetops, microwaves and dishwashers. Visit Clark’s Market to stock up on groceries, it’s just minutes from the resort. Don’t forget to pick up burgers and hot dogs – there’s a grill on your private patio that’s perfect for a family barbecue. The resort offers light daily housekeeping so you’re off the hook in that department. And you’ll find convenient onsite laundry facilities for taking care of hot chocolate spills, and keeping those base layers ready to roll. 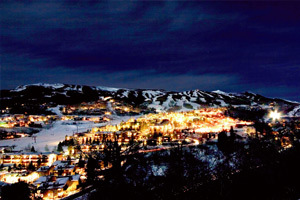 Catch the complimentary shuttle service to and from the Aspen airport as well as around Snowmass Village. Snowmass Village Salon has everything you need for a day of pampering: facials, massages, mani-pedis, and hair cut & color services. For great restaurants, shopping and even a Starbucks, head for Snowmass Village Mall. Visiting in the warmer months? Highline Trail is an easy five minute walk from the resort, so get the family together, choose a line leader and conquer a new mountain path. Don’t forget to pack the snacks. - Front desk is open 7:00 AM-9:00 PM during winter and 7:00 AM-7:00 PM during the slow season. Guests who arrive outside those hours should pick up the courtesy phone attached to the lockbox on the parking lot side of the Villas Welcome Center to receive check-in instructions. For more details please contact the property using the information on the booking confirmation.